Birthdays deserve cake. 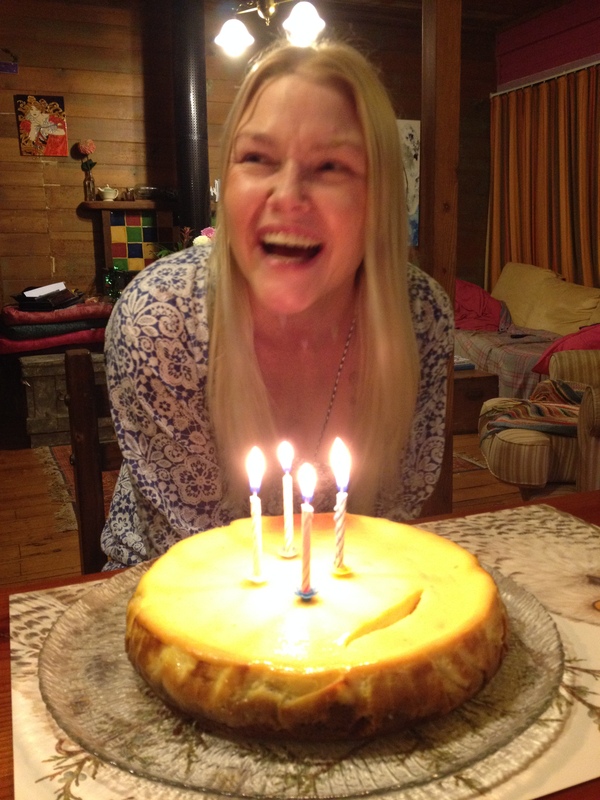 For the past few days I’ve had my dear friend Carly staying with us here at the farm, so that we could see in the New Year together and celebrate her birthday. I’ve not been well on this round of lyme meds, so I wanted to make a birthday cake with minimum fuss and maximum taste. 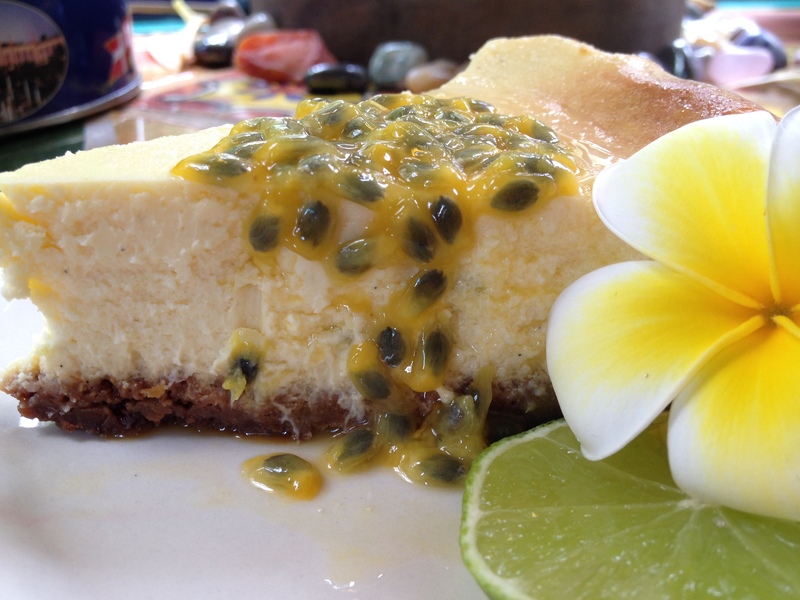 When Ben brought home a massive bag of fresh passionfruit from the farmers’ markets I was inspired to bake this delicious and super easy baked cheesecake. It’s moist and not too heavy, and can so easily be made gluten-free. 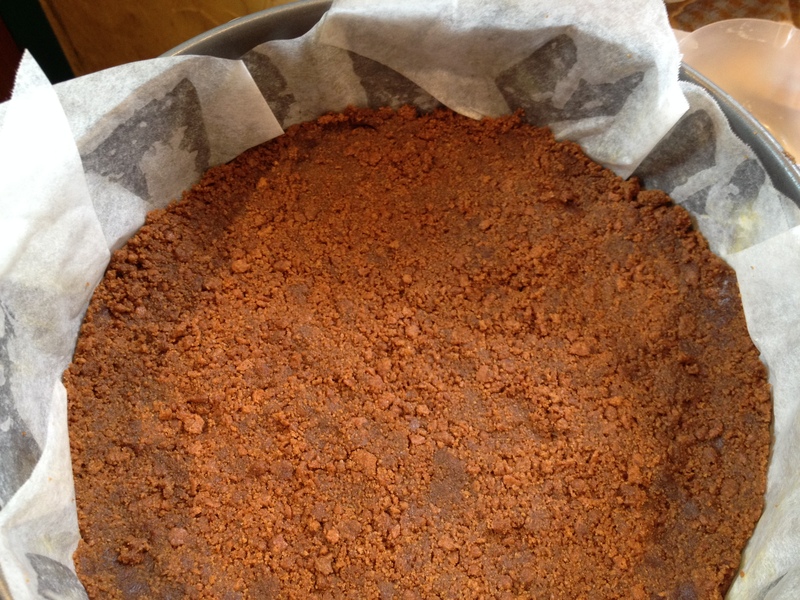 Crust – 250 gram packet of gingernut biscuits or your favourite sweet plain biscuit, 100 grams of melted butter. Choose a gluten-free biscuit if needed. Cheesecake – 500 grams (2 packets) of softened cream cheese, 300g of sour cream, 2/3 cup of caster sugar (or natvia works well too), 1 teaspoon of good vanilla paste or essence, 4 eggs at room temperature, finely grated zest and juice of two limes (1 large lemon can be substituted if limes are unavailable), 1 cup of passionfruit pulp. One 22cm (8 inch) springform tin, lined with baking paper. Crust – Using a food processor (or a rolling pin and a plastic bag) crush your biscuits into fine crumbs. Add melted butter and mix well together. The crumbs should hold together when you squeeze them. If the biscuits are particularly dry add a little extra melted butter. Press crumbs firmly into the bottom of the springform tin. Use your hands, back of a spoon or a glass to press down firmly. Don’t be insane though. If you press too hard it will be difficult to cut later on. Place into the fridge to set while you are making the cheesecake mixture. Cheesecake filling – It’s essential to have your cream cheese, eggs and sour cream at room temperature. This way when you mix them up the lumps will dissolve quickly and you won’t need to over-beat the mixture. If mixture is beaten too much (lots of air gets in) it will rise and brown too fast, and shrink and crack upon cooling. * Preheat oven to 150 degrees celcius or 300 degrees fahrenheit – you want a slow oven so the cake cooks through thoroughly without burning or drying out. If you have a fan-forced oven drop this temperature to 140C or 275F. Beat cream cheese and sugar together on low speed until soft and smooth. (if you were really keen and had a strong arm you could use a wooden spoon like my Nana did!) 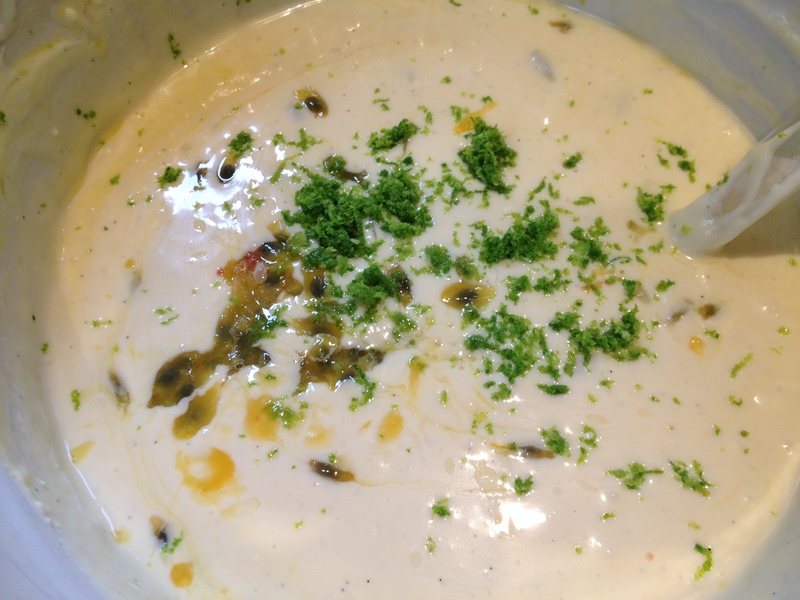 Add in the sour cream and vanilla and beat gently to incorporate, and then add one egg at a time, beating slightly after each. 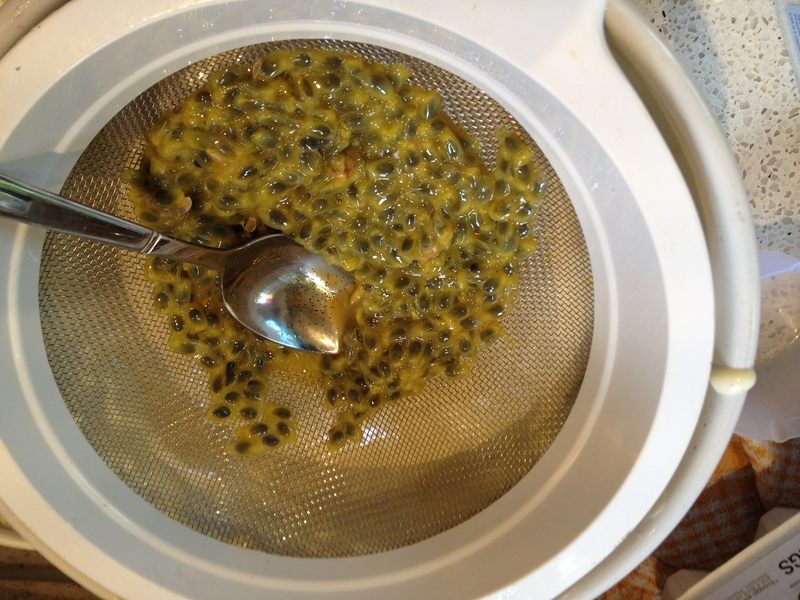 Take 3/4 of the passionfruit pulp and press it gently through a sieve to extract the juice. Add to the cheesecake mixture and discard the seeds. 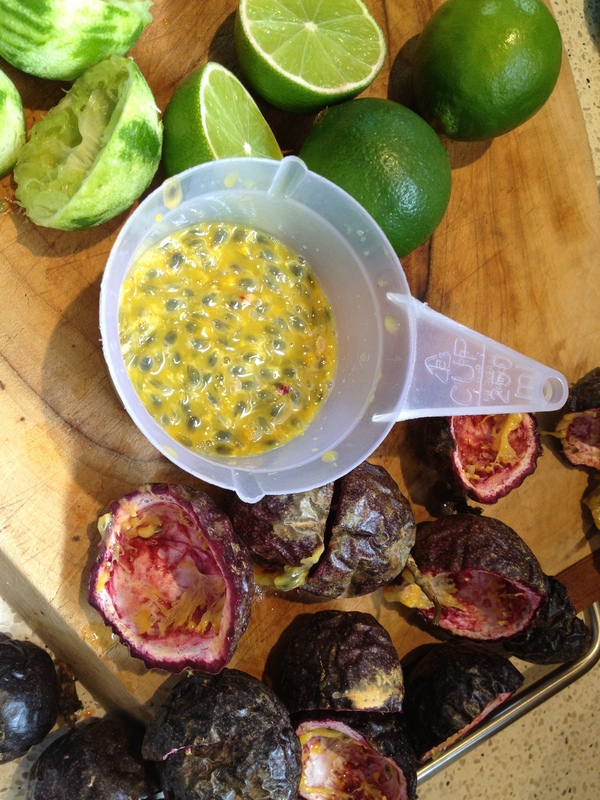 Add the lime zest and juice plus the remaining passionfruit and fold through. Pour over the base. Place into oven and cook for 50 minutes, until just set. The cheesecake should still have a slight wobble to the middle when you tap the side of the pan. If you think it is still too wobbly, cook another five minutes or so. The cheesecake will firm as it cools. Turn off oven and open the oven door slightly, using a wooden spoon to keep the door ajar. Cool slowly in the oven for one hour. 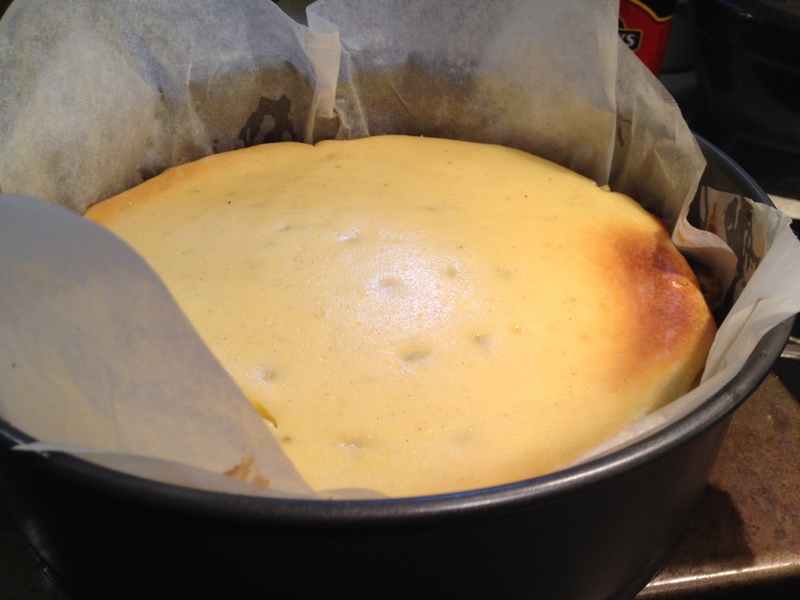 Cooling slowly will prevent the cheesecake cracking. Return to fridge for 6 hours or overnight. 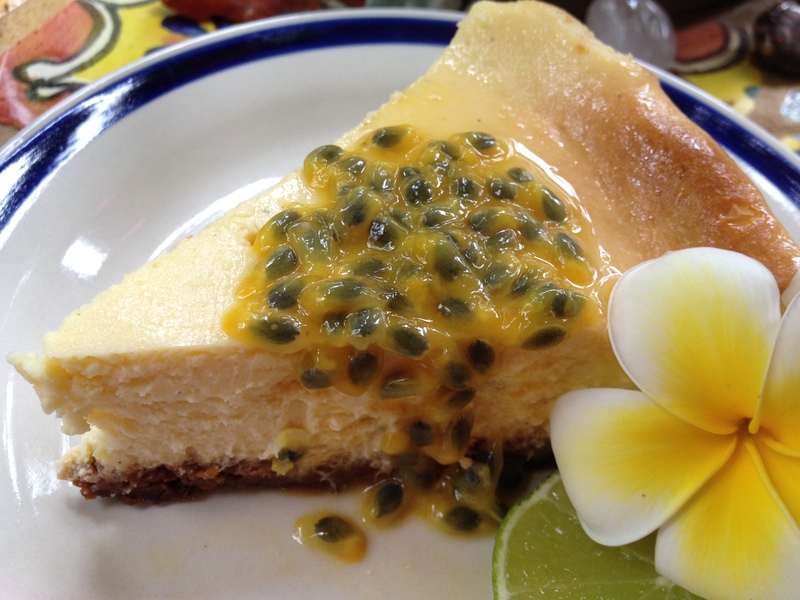 Also delicious served with fresh passionfruit pulp or mango slices, cream and ice-cream.